I’m always eager to learn about other punter’s methods as I think it’s vital to try and continually improve and to reflect on your own approach. Understanding how others attack the game is always useful. With that in mind I approached Geraint and asked him to write a few brief thoughts as to his main approach. There are many factors that can decide whether I back a horse or not. Sometimes it can be as easy as looking at the racecard and instantly being drawn to one I regularly back, other times it can take a good while longer. My method if option A fails is speed ratings. A good way of doing it I find is going back 12 months through a horse’s form and finding all his runs on that ground, then seeing which of them fits the other race conditions (track direction, class of race, distance) and finding what their top speed rating was (I use Racing Post for this). If that run was recently it’s also worth seeing whether they make the top 4 on the speed ratings on Attheraces. If you can find one that has the best speed stats over the conditions on the Racing Post and it’s also on Lawrence Taylor’s (attheraces) top 4, then you’re laughing. For example, Cosmelli Saturday was the horse I picked out as being the top rated when you combined ground, left handed tracks and the trip over the past year. When I then went on to Lawrence Taylor’s speed ratings, he was ranked top due to his win at Southwell in January. Gaye Kellaway had recently had a winner and was in good form and Daniel Muscutt a positive jockey booking. Seeing odds of 66/1 for a horse that meets all my targets was just the icing on the cake. It’s time consuming but rewarding I find and I’m told a unique way of looking for winners. Anyway thanks for reading and hopefully this will help you find a few winners soon! As with many punters, Geraint appears to have a ‘way in’, his being speed ratings on the going. In truth that’s not something i’ve ever thought about! Do you have a ‘way in’ to a horse or a race? What approach do you take to finding bets? There are many ways to prosper in this great sport, and I’d be interested to read what yours are, as it’s likely I and many others may learn something new. p.s Free Report…. Geraint touched on looking for reasons why a horse may improve on recent runs. A few months back I wrote an in-depth article along similar lines, called ‘The Magic Formula?’, which you can read HERE>>> (opens with one click) With any luck you find something in there to take away also. spot on that and excellent stuff. The beauty of Racing Post Online is that it has so much data as Geraint points out, and it goes back years (literally) They have not only full analysis of Speed but also various other Ratings and have to be honest we swear by it. They did a major upgrade around April 2017; which having got used to it is excellent. I do also think Speed Ratings are especially good way in on AW as the track conditions are far more consistent than Turf (harking back to the Going Stick angle that we use at SP2A as opposed to the less reliable “Good / “Good to Soft” / “Heavy” etc) so the added angle (if you have time) may be to add that “Going Stick” angle on Turf; especially when it gets near the extremes of soft and heavy Going. As Geraint also alludes to, I think too often it is easy to miss the impact with some horses of the left hand / right hand / straight Course conundrum and then comparing speed and official ratings to each. One other angle that I believe is under-utilised and which we pay specific interest in is “mares and seasons”; not hard to find and check, but amazing how regularly the girls run to optimum rating in the same 4-6 weeks window each year; particularly helpful as they get older and build up a record of 50 runs plus – add that to the measures Geraint uses and another helpful string to your bow. Ian, Prior to tipping for Saturday’s races did you read anything that suggested that the going would be slower/deeper than on Friday? I ask because I had a runner there who couldn’t get it’s legs out of the tapeta, it was so (unusually) deep, according to trainer and independently by a jockey. Rumours were mentioned about difficulties in preparing the surface, but nothing had been said by the course. Three well fancied horses also under-performed, to my knowledge. I ask because I feel that ARC may have let down all the stakeholders in its principal meeting and wonder if they need holding to account. Chris, as I didn’t personally tip on Saturday or even look at any horse racing (otherwise engaged) I can’t really comments; as David did the tips on the day. I did notice though that over the 3 days that the “draw bias” was all over the place, it may have been pace related but I a cynical old so and so and do wonder if they ensured that any bias was not only eradicated or over-compensated. My cynicism stems from Live Terrestrial TV Racing and the end days of C4 when (I will politely call them nerds as I personally find all 3 an utter turn off) the likes of McGrath ; Willoughby and Cunningham would repeated slag off Courses like York for “draw bias”. I just had a thought on the Friday at Newcastle along the lines “have they doctored the track”. (it stems a bit too from my 2 wheel days and the realisation that an oval anticlockwise track with an artificial surface is not hard to doctor). I am not an AW fan as most will know and would have hoped it could be a “safe haven” with firm turf likely for the next few weeks but I guess that even AW has to be susceptible to the hot weather. Geraint, thanks for taking the time to share your method with us, I found your piece very interesting and have never used speed ratings myself. Can i ask you whether you find that this ‘speed rating’ based system works better on one type of going over another? 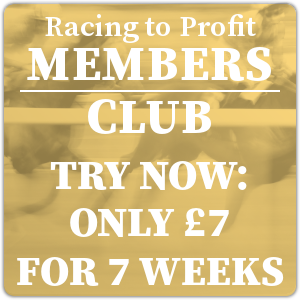 Do you use it in the Winter months for NH betting? Personally i would imagine that it will perform best when the ground is riding quick as it is presently, but I may be completely wrong? It wouldn’t be the first time or the last! Hi Geraint, thanks for posting and well done on your success. I have not come across you before, which is unusual as what I do is look for tipsters/systems and track their performance and follow accordingly. My mistake! As a full time punter I look for long term profits. So can you tell me: how long have you been using this approach and how long has it proved profitable for you? Your approach seems solid and relevant data based. I guess it is something that you refined as you went along? 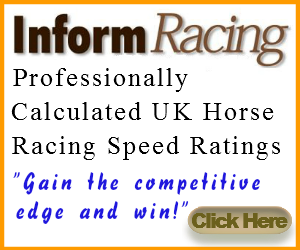 Interesting read and fair play to you , have a friend who uses speed figs off the RP website . One thing I learnt in the winter months for NH ,is the ratings overnight can change in line with going changes which is worth paying attention too . Also I noticed today “3/7/18 you picked a couple of horses from Ruth Carr and Milton Bradley’s stable . According to the RP form % they are both operating at 0-10% us this something you ever factor in at all ? My approach is via spread betting and I play the Favourites market through the meeting. I have worked out my own figures for the fixed odds prices to convert into spread points. Usually in large fields there is plenty of early pace and once it’s been identified, not hard to find the place to be in the draw and then not overly difficult to find one that suits the criteria of trip, mark and ground the best. In a field of a number of front runners , they are most likely to compromise their chances and set this up for the finishers . You can adopt the pace angle to any race and every day you will find a field where there is either just one front runner, who has to be considered or a race full of pace, which leads you to suitable hold up horse.